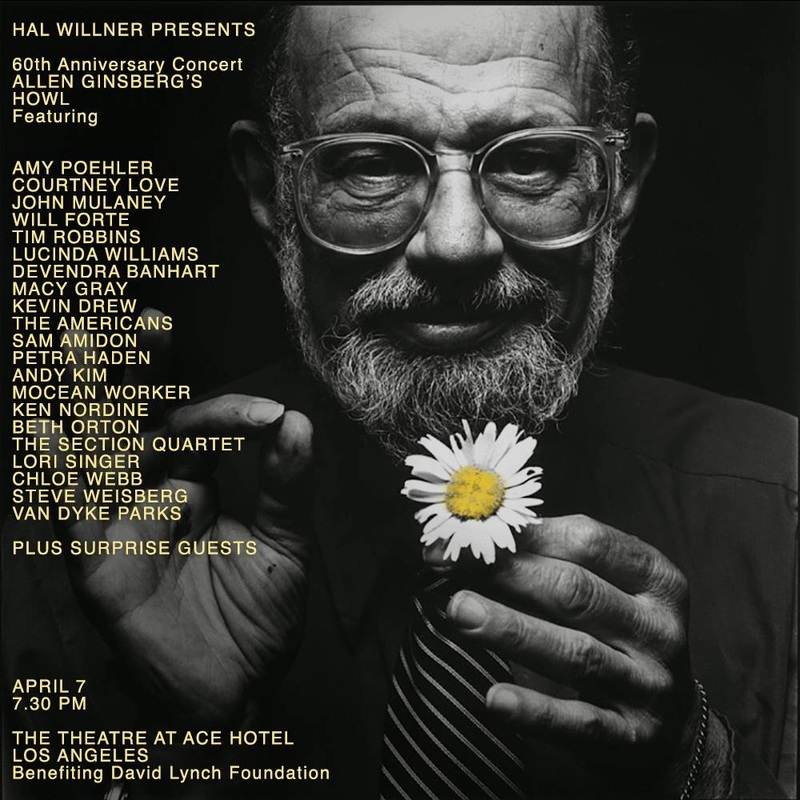 Next week (next Tuesday) is Hal Willner’s LA “Howl” extravaganza. The following day is Earth Day – courtesy WNYC’s Spinning on Air, in New York, at The Greene Space there’ll be an Earth Day Special with Patti Smith, Anne Waldman, Laurie Anderson and others – A live web-cast of the event will be available here. The following day – Thursday April the 9th – (for all you poètes maudits) is Charles Baudelaire‘s birthday. Tomorrow (April the 4th) Chogyam Trungpa‘s Parinirvana. This Sunday at City Lights, Marc Olmsted reads (in honor of Allen’s own Parinirvana (April 5th, significantly, one day after Trungpa’s). 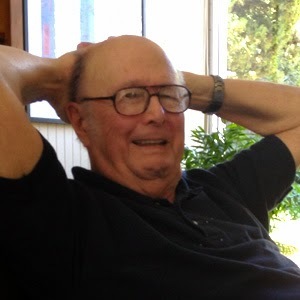 Allen’s “Wichita Vortex Sutra” – a two-part podcast on the poem on Nine Mile Magazine’s “Talk About Poetry”, a lively and extended discussion can be heard here and here. Here‘s Allen reading his immortal “Howl” on an Evergreen Review record (from 1957 – San Francisco Poets). Very pleased to report plans for a new revived (post-Barney Rosset) Evergreen Review. Here’s the “op-ed” on April Fools Day from the local newspaper (the Hartford Courant) declaring it up front “an obscene poem” – A what? – What do you think? 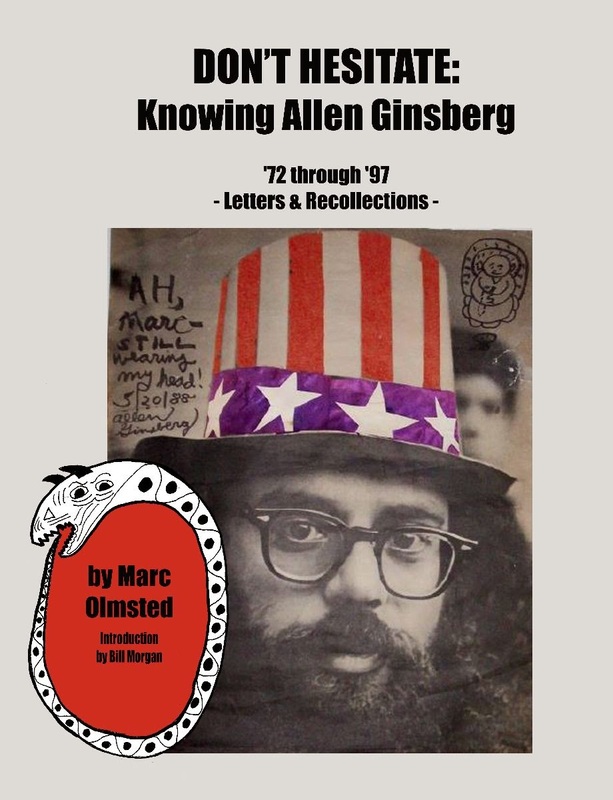 More on the Beatnik Shindig on the Ginsberg Project in the coming months.